B&G Heating and Air Conditioning has the expertise, experience, and relationships to have your HVAC installation up and running quickly and economically. If you already have a quote from a competitor, B&G Heating and Air Conditioning will give you a second opinion with no obligation. As a member of Jacksonville, FL's business community for over 37 years, we understand how important it is to develop long term relationships, so if you have any questions or concerns, please feel free to call and ask our professionals who are there to serve you. B&G Heating and Air conditioning installs commercial air conditioning and ventilation systems for restaurants, office, buildings, stores, and boats. 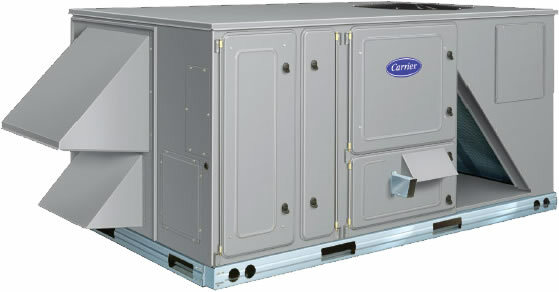 We provide and install AC systems, as well as duct work and controls. Contact our Jacksonville, FL office today for a free quote. We install on plan and spec work. We are knowledgeable of the Jacksonville/North Florida area local codes and ordinances and have established relationships with all major equipment manufacturers and parts distributors in this area. B&G Heating and Air is pleased to be an approved HVAC contractor in the Jacksonville, FL NSP rehabilitation project. We are proud to be a part of the St. John's Housing Partnership Weatherization Assistance Program as an installer. In addition, we are an authorized partner with the JEA SmartShop and InvestSmart programs. Our installation warranty on equipment we procure is 1 year parts-and-labor, in addition to any manufacture warranty. Contact us to have one our professional AC service technicians travel to you and install a new HVAC system for your company.